We love to receive customer feedback. Thank you to all who took the time to write. We strive to send out good quality woodturning blanks. Repeat orders from our customers are greatly appreciated and tell us that you like the quality of our turning wood. Read what some of our customers have written. Received the package today. First off thank you for the extra piece you added. Very much appreciated. Second, the packaging was perfect and appreciate the care taken. Look forward to making some cool looking pieces from this wood. Thanks again! I enjoyed your booth at the Tampa show. Bought 18 blanks and have turned several. Love the Silk Oak. You were very helpful to someone new to wood turning. It was a very nice treat to meet you and Steve yesterday. I had an idea of your business set-up from your website but a visit does much more than just put faces to names. I was impressed by the range of timbers you handle but more so for the obvious care and attention to detail which you attach to the business of mail-order blanks. Got my order today. Very happy with everything. That Indian Rosewood is gonna be sweet! 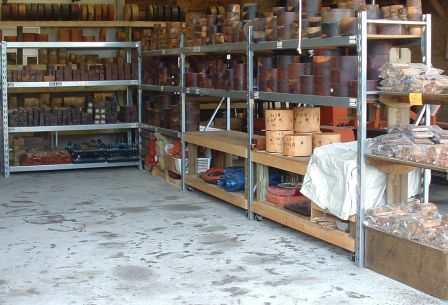 Click to view our wide selection of turning woods.